Business Insider is reporting that Anheuser-Busch InBev, who’s in the process of closing the deal for SABMiller, agreed to sell off Grolsh, Peroni and Meantime Brewing, which is part of SABMiller’s portfolio, most likely in order to smooth the regulatory approvals necessary to close the transaction. In fact, this deal in contingent on the other one, so that if the ABI/SABMiller deals fall apart, then this one won’t go through either and they’ll remain part of SABMiller. SABMiller plc (“SABMiller”) has been informed by Anheuser Busch InBev SA/NV (“AB InBev”) that following its announcement on 10 February, it has accepted the binding offer from Asahi Group Holdings, Ltd (“Asahi”) to acquire certain of SABMiller’s European premium brands and their related businesses (excluding certain US rights), following completion of the relevant employee information and consultation processes applicable to the sale of these brands and businesses. 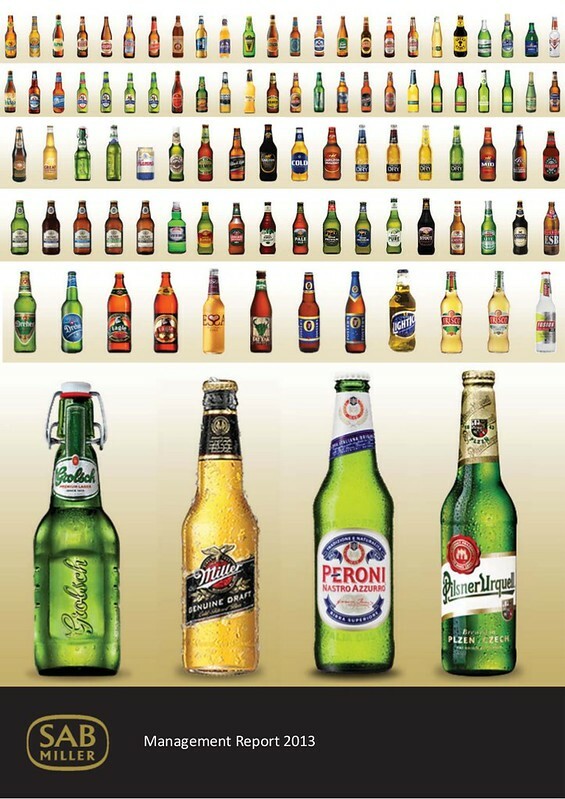 The acquisition by Asahi of these premium brands and related businesses (comprised of the Peroni, Grolsch and Meantime brand families and related businesses in Italy, the Netherlands, the UK and internationally (“the Business”)) is conditional on the successful closing of the recommended acquisition of SABMiller by AB InBev as announced on 11 November 2015, which itself contains certain regulatory pre-conditions and conditions, and the approval by the European Commission of Asahi as a purchaser of the Business. Yesterday the Wall Street Journal tweeted an interesting graph they created to show how things would shake out based on the current terms of the deal, and assuming everything is approved by the relevant regulatory agencies worldwide. 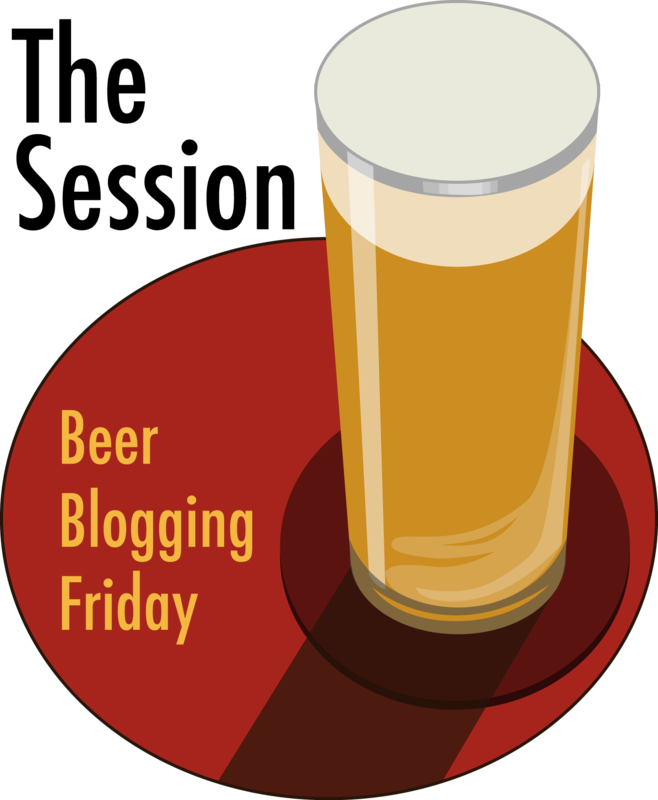 Niall, at the Missing Drink, has an interesting post about the possible buyout of SABMiller by Anheuser-Busch InBev. 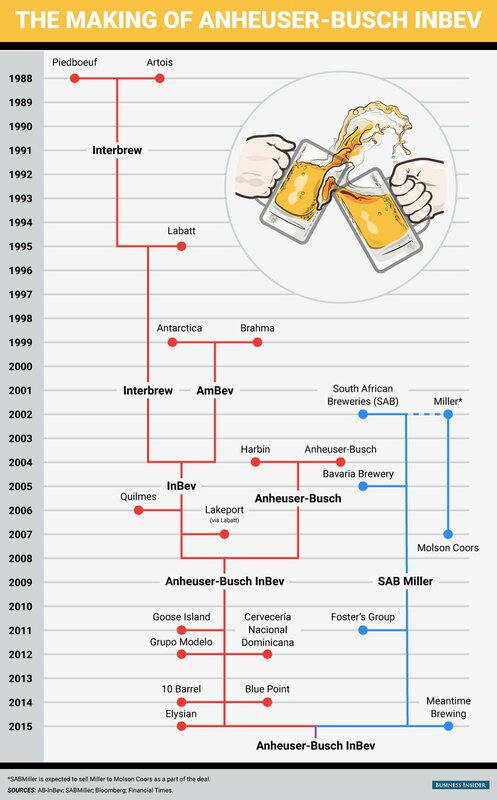 Entitled A Brief History of Big Beer, he provides some analysis of the deal, but I especially like his helpful chart of the M&A of all the major players, which is below. It’s great to see them laid out to encapsulate the history of those big deals, especially in recent decades. Click here to see the chart full size. 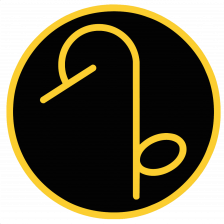 Here’s his clever take on what the newly minted entity might be called, and what a new alphabet soup logo might look like. It was genius taking the “AB” from ABI and putting it with the “S” from SAB. It certainly will be interesting to see what new name (and logo) does emerge if the deal ultimately goes through. LONDON–The Boards of AB InBev (Euronext: ABI) (NYSE: BUD) and SABMiller (LSE: SAB) (JSE: SAB) announce that they have reached agreement in principle on the key terms of a possible recommended offer to be made by AB InBev for the entire issued and to be issued share capital of SABMiller (the “Possible Offer”). Under the terms of the Possible Offer, SABMiller shareholders would be entitled to receive GBP 44.00 per share in cash, with a partial share alternative (“PSA”) available for approximately 41% of the SABMiller shares. The all-cash offer represents a premium of approximately 50% to SABMiller’s closing share price of GBP 29.34 on 14 September 2015 (being the last business day prior to renewed speculation of an approach from AB InBev). 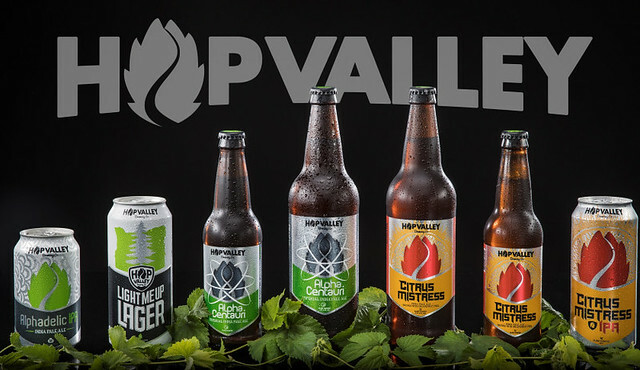 The PSA consists of 0.483969 unlisted shares and GBP 3.7788 in cash for each SABMiller share, equivalent to a value of GBP 39.03 per SABMiller share on 12 October 2015, representing a premium of approximately 33% to the closing SABMiller share price of GBP 29.34 as of 14 September 2015. Further details of the PSA are set out below. 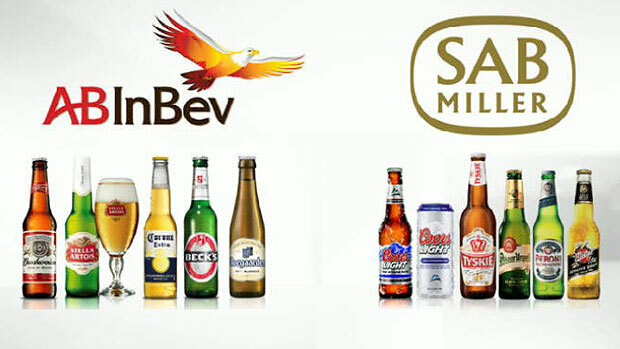 In addition, under the Possible Offer, SABMiller shareholders would be entitled to any dividends declared or paid by SABMiller in the ordinary course in respect of any completed six-month period ended 30 September or 31 March prior to completion of the possible transaction, which shall not exceed USD 0.2825 per share for the period ended 30 September 2015 and a further USD 0.9375 per share for the period ended 31 March 2016 (totalling USD 1.22 per share) and shall not exceed an amount to be agreed between AB InBev and SABMiller in respect of periods thereafter (which shall be disclosed in any announcement of a firm intention to make an offer). The Board of SABMiller has indicated to AB InBev that it would be prepared unanimously to recommend the all-cash offer of GBP 44.00 per SABMiller share to SABMiller shareholders, subject to their fiduciary duties and satisfactory resolution of the other terms and conditions of the Possible Offer. In connection with the Possible Offer, AB InBev would agree to a “best efforts” commitment to obtain any regulatory clearances required to proceed to closing of the transaction. In addition, AB InBev would agree to a reverse break fee of USD 3 billion payable to SABMiller in the event that the transaction fails to close as a result of the failure to obtain regulatory clearances or the approval of AB InBev shareholders. e) final approval by the Board of AB InBev. The Board of AB InBev fully supports the terms of this Possible Offer and expects (subject to the matters above) to give its formal approval immediately prior to announcement. AB InBev reserves the right to waive in whole or in part any of the pre-conditions to making an offer set out in this announcement, other than c) above which will not be waived. The conditions of the transaction will be customary for a combination of this nature, and will include approval by both companies’ shareholders and receipt of antitrust and regulatory approvals. In view of the timetable for obtaining some of these approvals, AB InBev envisages proceeding by way of a pre-conditional scheme of arrangement in accordance with the Code. The cash consideration under the transaction would be financed through a combination of AB InBev’s internal financial resources and new third party debt. SABMiller shareholders who elect for the partial share alternative will receive 0.483969 Restricted Shares and GBP 3.7788 in cash for each SABMiller share. In accordance with Rule 2.6(a) of the Code, AB InBev was required, by not later than 5.00 pm on 14 October 2015, to either announce a firm intention to make an offer for SABMiller in accordance with Rule 2.7 of the Code or announce that it does not intend to make an offer for SABMiller, in which case the announcement will be treated as a statement to which Rule 2.8 of the Code applies. In accordance with Rule 2.6(c) of the Code, the Board of SABMiller has requested that the Panel on Takeovers and Mergers (the “Panel”) extends the relevant deadline, as referred to above, to enable the parties to continue their talks regarding the Possible Offer. 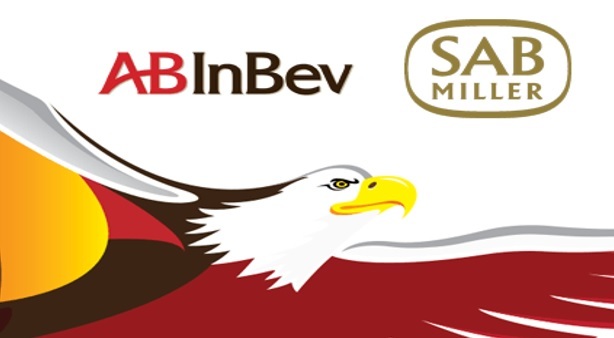 In the light of this request, an extension has been granted by the Panel and AB InBev must, by not later than 5.00 pm on 28 October 2015, either announce a firm intention to make an offer for SABMiller in accordance with Rule 2.7 of the Code or announce that it does not intend to make an offer for SABMiller, in which case the announcement will be treated as a statement to which Rule 2.8 of the Code applies. This deadline will only be extended with the consent of the Panel in accordance with Rule 2.6(c) of the Code. 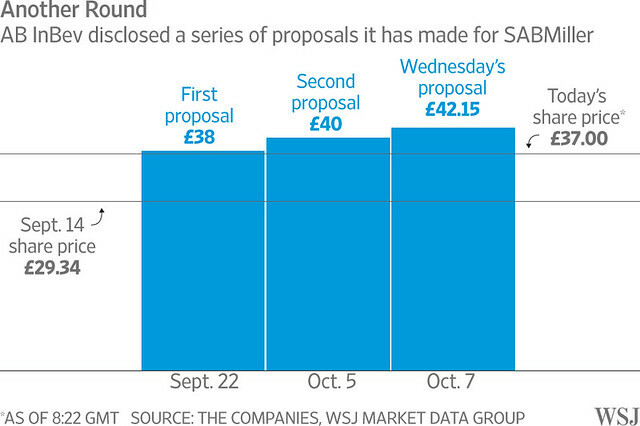 d) to reduce its offer (including the all-cash offer and PSA) by the amount of any dividend that is announced, declared, made or paid by SABMiller prior to completion, save for ordinary course dividends declared or paid prior to completion, which shall not exceed USD 0.2825 per share for the period ended 30 September 2015 and a further USD 0.9375 per share for the period ended 31 March 2016 (totalling USD 1.22 per share) and shall not exceed an amount to be agreed between AB InBev and SABMiller in respect of periods thereafter (which shall be disclosed in any announcement of a firm intention to make an offer). The announcement does not constitute an offer or impose any obligation on AB InBev to make an offer, nor does it evidence a firm intention to make an offer within the meaning of the Code. There can be no certainty that a formal offer will be made. SABMiller released a statement this morning rejecting the latest takeover offer from Anheuser-Busch InBev. You may, or may not, be able to read the statements released by SABMiller on their website, and there are some fairly scary disclaimers including language that, depending on your jurisdiction, claims that the publicly available information may not be legal to read, and in such case advise you to “exit this web page.” Which while I’m sure is required by some law, probably UK law, also feels fairly ridiculous. At any rate, quite a few news outlets, such as the Wall Street Journal, Reuters and the New York Times are all reporting on it, so it must be okay for the likes of me. 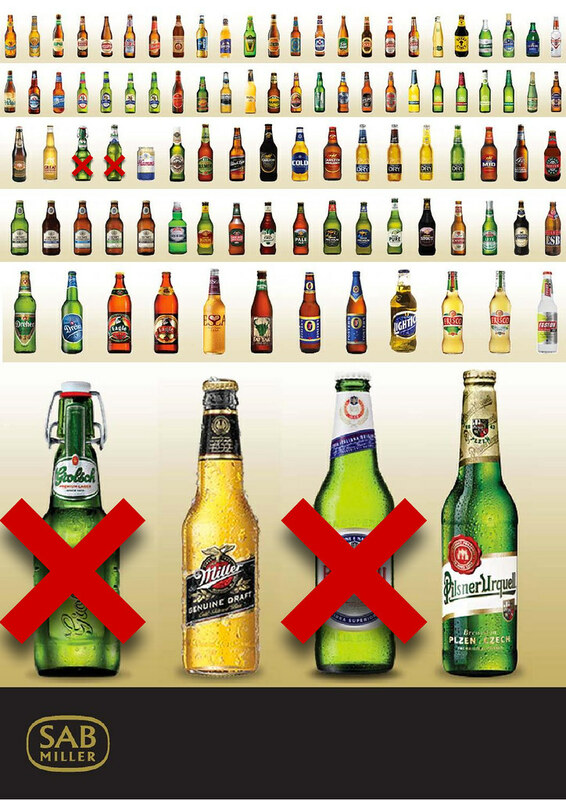 The gist of it is the SABMiller board unanimously rejected ABI’s latest takeover offer, for the primary reason that they believe ABI’s offer “substantially” undervalues their company (currently the offer values SABMiller at $104 billion), among a few other technical reasons having to do with the timing, regulatory issues and others. The current offer is for roughly £65.14 billion, which is $99.76 billion dollars. The Wall Street Journal helpfully created a graphic showing the recent history of the potential deal as it’s been unfolding. There’s little doubt this is not the end of it, but there will continue to be a back and forth as this high-stakes game unfolds. And it really is a game, sad to say. Apparently negotiations have been tense, which really should not come as a shock to anybody, yet you see statements like this. 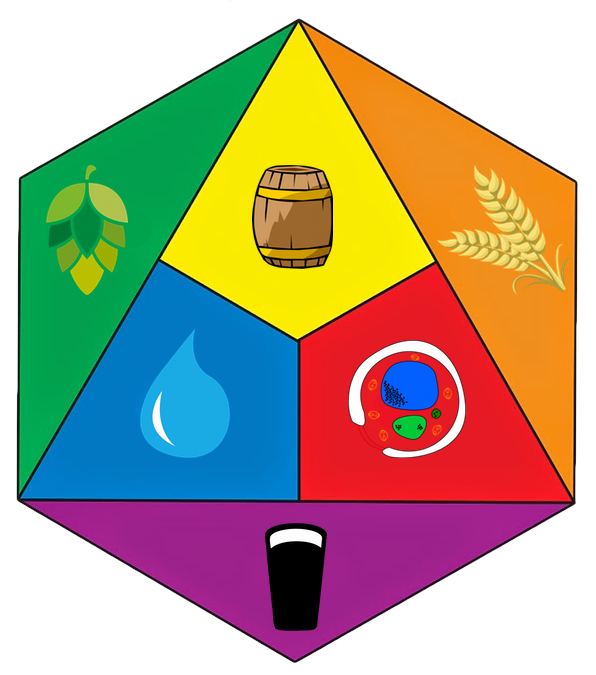 “AB InBev is disappointed that the board of SABMiller has rejected both of these prior approaches without any meaningful engagement.” The absurdity of that reveals the gamesmanship involved, as it plays out in the media. It’s going to be an interesting few weeks. Global beer company SAB Miller has announced the acquisition of London’s Meantime Brewing in effort to enter the UK craft market. Meantime is a pioneer in British modern craft beer, giving SABMiller an entry point into the fastest-growing segment of the UK beer market and complementing its imported super-premium lagers such as Peroni Nastro Azzurro and Pilsner Urquell. SABMiller plans to grow sales of Meantime’s beers nationally and explore export opportunities in its European markets under the continued leadership of Nick Miller, Meantime CEO. 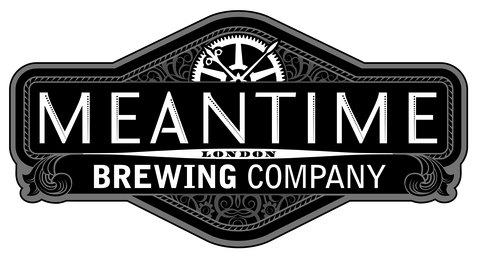 Meantime was established by Brew Master, Alastair Hook, in 1999 with a brewery in Greenwich, London. 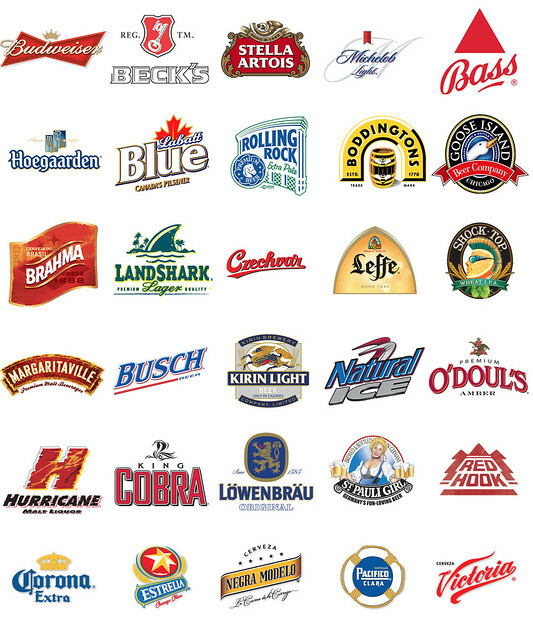 The business has since created a successful range of British and international beer styles. Sue Clark, Managing Director, SABMiller Europe, said: “Meantime has been at the forefront of the modern craft beer movement in the UK and brews an outstanding range of beers across a variety of styles. At SABMiller we love local variety, and carefully nurture our 200 local and heritage beers. Meantime, born in a city with a rich beer heritage, will be a special new addition to the SABMiller family. Nick Miller, CEO, Meantime, said: “I can say from personal experience, that SABMiller is a great company to be joining forces with. They see the opportunity, and believe in the longevity, of modern craft beer in the UK. “SABMiller shares our passion for putting great beer first, and making, selling and marketing it responsibly to beer aficionados worldwide. 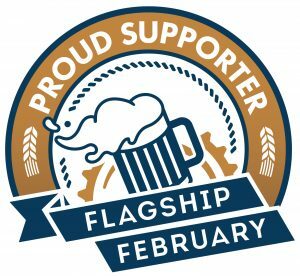 The team at SABMiller have stressed how important our culture is to our success to date, and have a strong track record in retaining the special identities and heritage of the local businesses they’ve bought in the past. Volumes of beer sales at Meantime grew by 58% in 2014, outpacing the UK beer market’s 1% growth during the same period and making it one of the top-performing modern craft breweries in the UK. Among Meantime’s award-winning lagers and ales are its leading brand London Pale Ale, London Lager, Yakima Red, Pilsner, India Pale Ale and London Porter. London Pale Ale and London Lager together account for around 70% of total volumes. Following the transaction, Meantime will open a pilot brewery which will become a centre for SABMiller’s European innovation and new product development. The acquisition includes Meantime’s retail sites, including the Tasting Rooms and the brewery shop in Greenwich, the Greenwich Union pub, pop-up Beerbox pub, and the Brewery Fresh tank beer concept, which is now in 26 pubs across London, complementing SABMiller’s Pilsner Urquell unpasteurised tank beer in a further four London pubs. The deal is expected to close in June of this year, and the financial terms of the deal were not disclosed. The BBC and the Guardian also have stories on the deal. 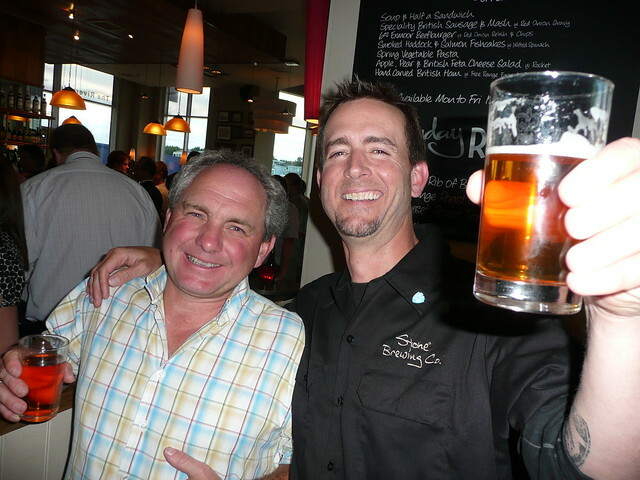 Meantime brewmaster Alastair Hook, with Greg Koch from Stone Brewing, at a British Guild of Beer Writers event during the Great British Beer Festival in 2009. Rumors and discussions of a possible merger between Anheuser-Busch InBev and SABMiller are nothing new, it’s been talked about by the business press off and on for a number of years now. But it had been quiet lately, most likely because of the deal by ABI to buy Grupo Modelo. But yesterday Reuters fanned the flames of merger once again, in a piece of speculation: Bets on for mega brewer merger as virgin ground shrinks. Now, with AB InBev planning to return to a comfortable pre-deal debt-to-EBITDA ratio of below two next year, industry experts are betting on a combination of its Budweiser and Stella Artois brands with SABMiller’s Peroni and Grolsch. Some expect a deal within a year. “It’s more a question of when, not if,” said a banker who has worked on drinks deals. Others, also speaking on condition of anonymity, cited AB InBev’s record as a serial acquirer and the need for a target to match or surpass its $52 billion purchase of Anheuser Busch in 2008. Asia, they claim, is the next frontier, though many of the bigger breweries are state-owned (which means expensive). 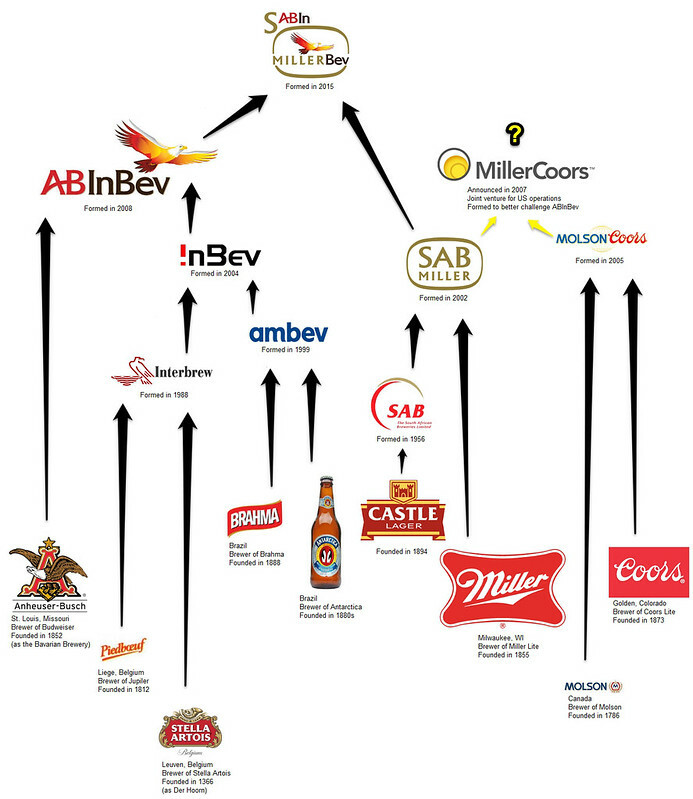 Interestingly, while they admit that SABMiller would also be expensive the Reuters’ business analysts believe “a tie-up would be straightforward with antitrust issues relatively easy to fix and immediate benefits of scale.” Other analysts, however, do see potential problems with the merger from “regulators is in the United States and China” because of the market overlap in those countries. Price, not surprisingly, is the elephant in the room, and the estimated $100 billion ticket price would make such a deal the “fifth-largest corporate acquisition ever.” Reuters places the current value of SABMiller at $84.5 billion and believes it’s in ABI’s best interest “to move fast before SABMiller gets more expensive.” But would SABMiller be interested in selling? “SABMiller’s two top shareholders — cigarette maker Altria Group and the Santo Domingo family of Colombia, which own 27 percent and 14 percent, respectively — ‘may think this is as good as it gets,’ said another banker.” So that suggests that the people behind the curtain might be amiable to the buyout. 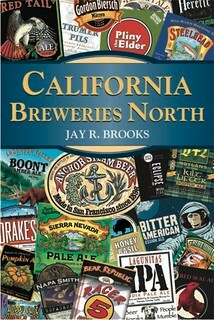 A couple of years ago, writing about this very possibility of a merger, I recalled that when the AB/InBev merger went down, someone joked that eventually there would be just one international beer company and it would just be called “Beer.” I remember laughing at the time, but truth really is stranger than fiction. So who knows? It should be an interesting year. 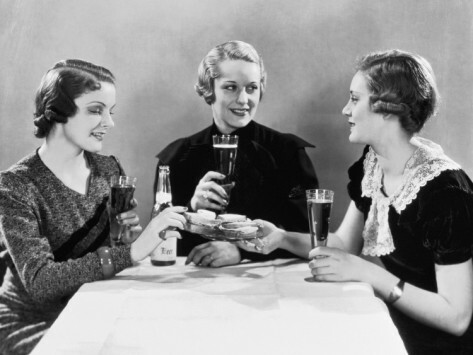 Depending on your perspective, there’s good and bad news for women who love beer. Yesterday, Marketwatch casually mentioned that “SAB Miller, the world’s second largest brewer, is testing a new line of lighter and sweeter beers. Executives are also planning new ad campaigns geared towards women.” Other CBS affiliates, such as WREG Memphis, picked up the story but added little, apart from saying the new line will be “brewed especially for the ladies.” That’s all the information there is, so far, not even the SABMiller website has any additional information or a press release, at least not yet. But if you’re one of those of the female persuasion that can be reduced to the stereotype of only liking sweet flavors, and don’t mind being pandered to, this just may be the beer for you. But if you’re a real person, like pretty much every beer lover I know who also happens to be a woman, this is probably just going to piss you off. I honestly don’t understand why the big beer companies keep trying this. Has it ever worked, anywhere in the world? People who understand and can appreciate the complex flavors of a good beer, will like it, irrespective of their reproductive organs. So just make good beer, educate your customers about it, and beer lovers — male and female — will drink it. Why is that so hard?